To many, the Divinity represent the fulfillment of great spiritual aspirations. They are the living embodiment of faith, commanding awe and blind obedience. Temples and cathedrals have been built in their honor, and countless sacrifices have been made in their name. To those who are able to see beyond their blinding aura, they represent a nigh unstoppable plague of corruption. Since the dawn of time, these ethereal heralds have used their perceptual powers to prey on lesser species, twisting religion and mythology to suit their needs. Their hand is to be witnessed in the bloody history of uncounted civilizations. Their modus operandi may evoke the Church of the Silence or the Church of the Glorious Dead but, ultimately, their undying influence is far more pervasive—and pernicious. When faith is corrupted, the Divinity are there. When persecution overwhelms compassion, the Divinity are there. After witnessing the ungodly truth of their ministries in a struggle that resulted in devastating personal losses, the Doctor attempted to eliminate their malign influence from history. He failed, and such drastic intervention has left him at the mercy of the Time Lords. As the Divinity regain their strength and power, he is destined to face divine retribution. The Divinity are distinctive—tall, slender creatures with luminescent skin and eyes that burn like incandescent stars. Their unique and inexplicable biology contributes to the potent mystique associated with them. They are physically weak and reflexively slow, relying on those who serve them to fight in their stead. They possess an unrivaled psychic influence, however, carried by an aura of authority or glamour. Their presence, resolve, and powers of persuasion are exceptionally strong. The Divinity are recognized according to individual belief; they adopt a preexisting position of omnipotence and dominion within the minds of their subjects, and those who face them are hideously transformed as a result. 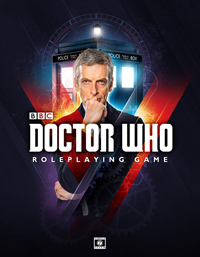 Introduced to the mythology in “The Origin of Evil” and making their dramatic debut in “Divine Intervention,” the Divinity have been established as the dominant adversaries in our ongoing Doctor Who role-playing campaign. Variant stats for other members may be posted alongside future updates. One thing is certain: the Divinity are everlasting, and the Divinity will return. This entry was posted on 13/08/2015 by hedgewick. 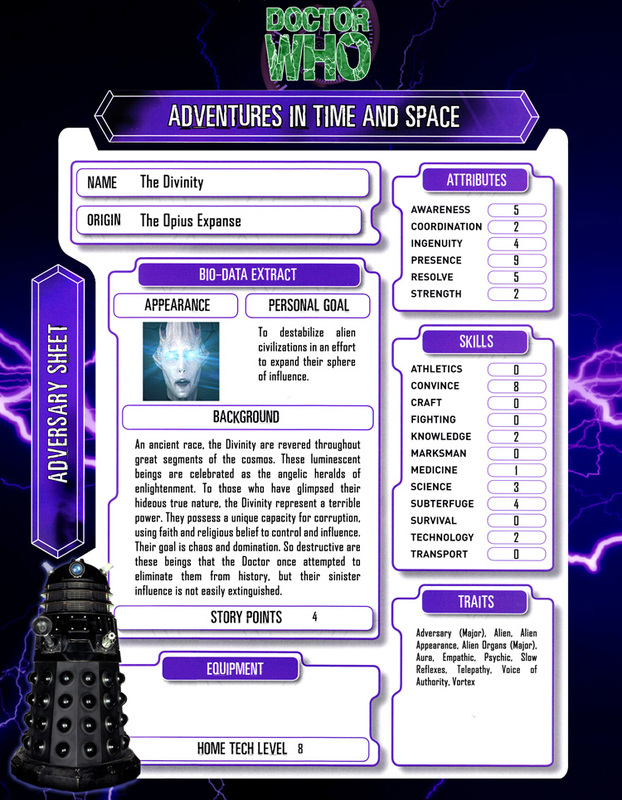 It was filed under The Nth Doctor and was tagged with Character Sheets, Divine Retribution, Divinity.